Many teachers struggle with motivating students to do more independent reading, especially when that reading happens at home. Whether students don’t like reading, or simply would prefer to play their favorite video game, it’s a head scratcher for even the savviest teachers. However, you don’t have to take “Ehh, I just don’t feel like reading” for an answer any more. 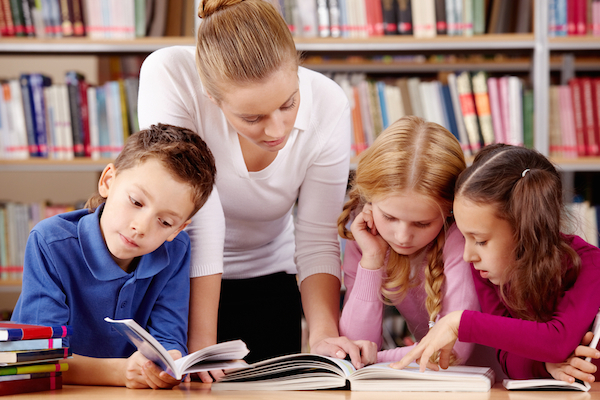 Use these strategies to motivate students to read more at home. Students love video games and social media because they’re fun—and there’s no reason why reading shouldn’t be fun too. Use these websites to motivate students to read more at home without you pushing them to do so. Bookopolis: The best book recommendations for students come from their peers. The website Bookopolis aims to give students the recommendations they’re looking for, with thousands of student-written book reviews. With the whole class signed up, students can recommend specific books to their friends and browse pre-made book lists to discover their next favorite read. Whooo’s Reading: This online reading log platform motivates students to read more with extrinsic rewards. Students earn Wisdom Coins for logging reading, answering open-ended, reading comprehension questions and interacting with peers in their private newsfeed. These coins are used to “buy” accessories for their Owlvatar—students want to have the coolest Owlvatar in their class, motivating them to read and log more. You’ll be surprised how quickly these extrinsic rewards help develop an intrinsic desire to read more. Storyline Online: This website provides audio books, with a twist. Rather than simply listening to the book, students watch a video of the person reading the book, so they see the actual book while listening. Some stories are even read by famous people, like Betty White. Read to Succeed: This program, offered by Six Flags, gives students free tickets to the nearest Six Flags after completing at least six hours of recreational—not assigned through school—reading. This program is free for teachers and schools to participate in. Students Helping Students: Room to Read offers a fundraiser read-a-thon, where students read to raise money that goes toward helping impoverished children around the world gain access to schools and books. One of the reasons students cite for not reading more is not having a book or not knowing what book they want to read next. Luckily this is an easy battle to win—there are plenty of ways to get more books in the hands of your students. Epic! Books: This service gives students, ages 12 and younger, access to more than 10,000 digital books. The program is free for elementary teachers and librarians to participate in, and provides students with a wide range of popular titles such Brown Bear Brown Bear What Do You See and the Goosebumps series. First Book Marketplace: If you work at a Title 1 school, you’re eligible to purchase books through First Book Marketplace at 50-90 percent off below retail price. Books are available for children up to 18 years of age, with a variety of popular and classic titles available, along with STEM resources and college-prep materials. Thrift Books: This online bookstore honors the work teachers and educators do with a 15 percent discount on book sets (20 or more titles). If you’re looking to stock your classroom, this is a great way to do it. Reading Resource Project: Use this website to give your classroom library a complete overhaul. Educators can order a collection of 100 books—you choose the collection, whether it’s a mix of titles and genres, or books about specific things, such as animals, food, science and more—and then simply pay shipping, which comes out to $.88 per student. Books are distributed many times a year, including on Read Across America Day, National Drop Everything and Read Day and Children’s Book Week. Free Audio Books: There are dozens of sites available that offer free audio books. Check out Ambling Books and Librophile. Get a full list of free audio book websites here. Once you have all of these books in your classroom, you’ll need to implement a book lending process so students can take them home, if you haven’t already. Use these tips to create this system and making your classroom library more interactive. Motivating your students to read more at home can be a difficult process. However, with multiple strategies at play, it becomes easier to get every student in your classroom reading more every single day. thank you. this information is sincerely appreciated! !